Dessert in the middle of the week. Because these frigid temperatures are just not fair. It's like -30 outside and snowing. And those snow banks just keep getiing bigger. Okay time to take a deep breath and bake something. I would much rather talk about baking than the weather anyway. 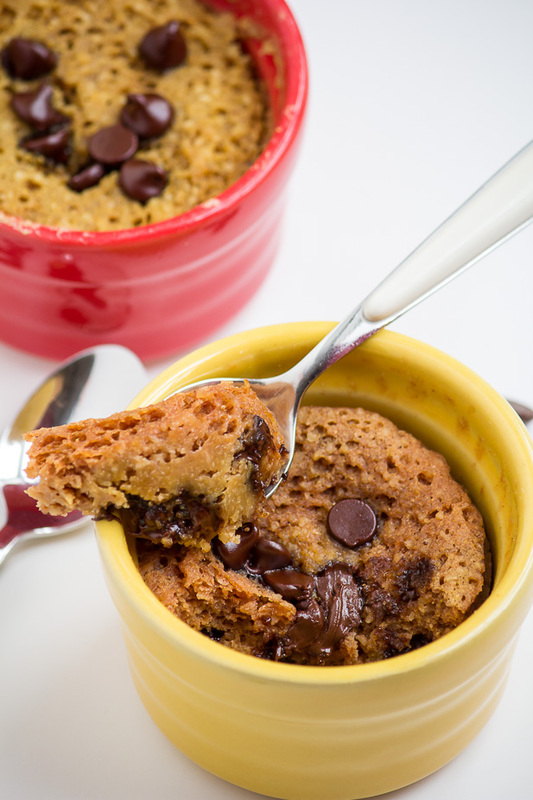 Maybe it's just me, but I feel like there can never be too many recipes that invole chocolate chips...and mug cakes. There are just so many variations. Like Katie's chocolate cake in a mug (that frosting just looks to die for). 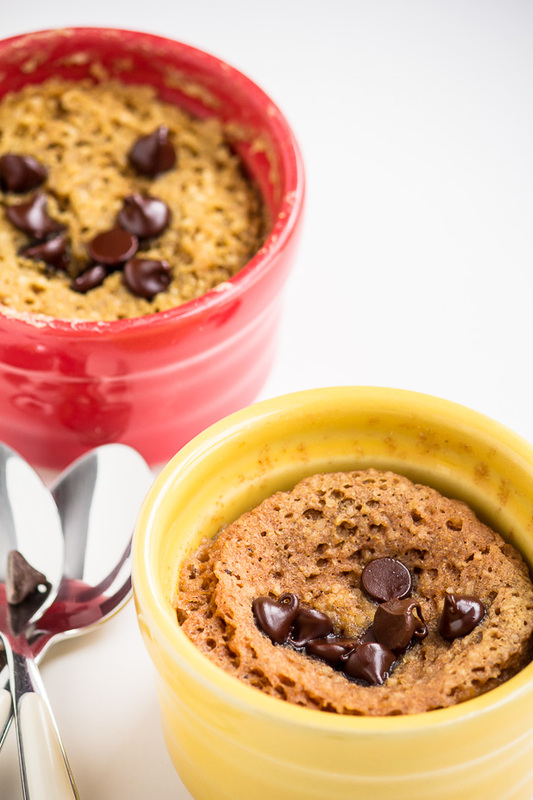 Mug cakes can either be cakey or have that sticky-fudgy texture that I personally love. After a few trials of my own, I landed on these almond-flecked, honey-kissed cakes. They're fluffy and have that nice moist gooey-texture. 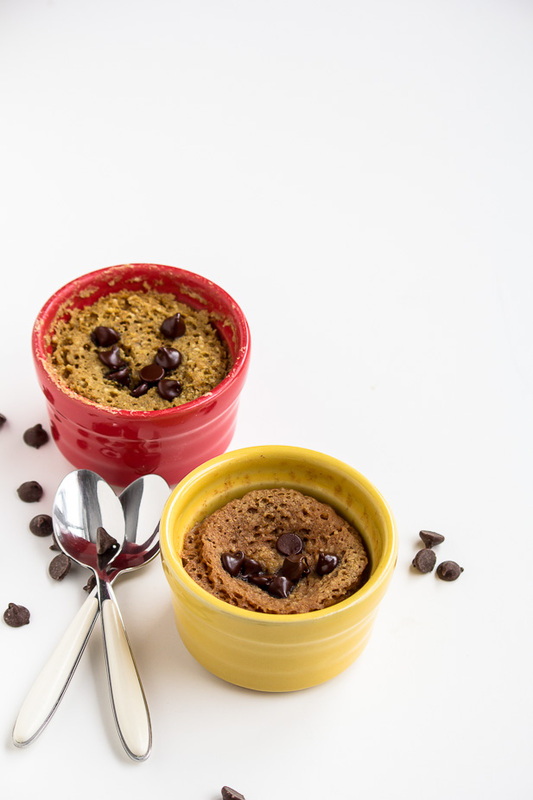 Golden in colour, these little single serving mug cakes are reminiscent of chocolate chip cookies. 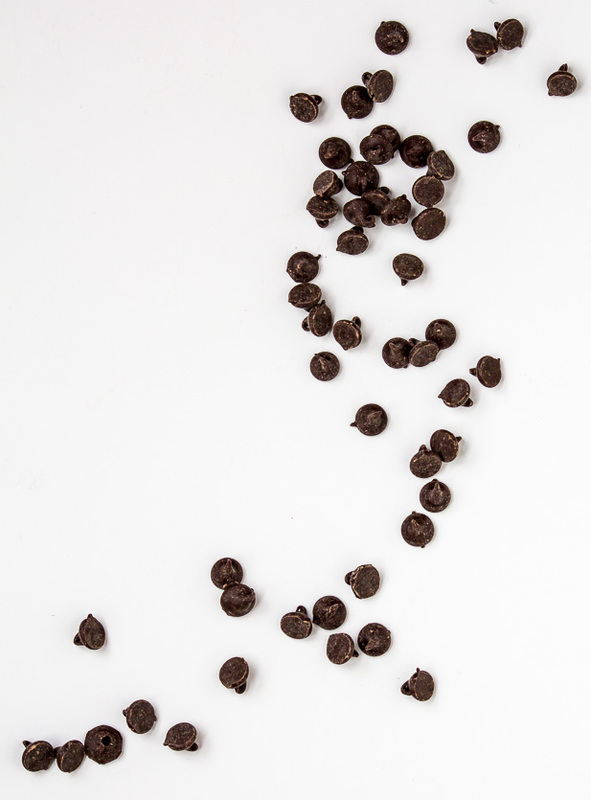 The cakes themselves are just barely sweetened but the dark chocolate adds a bit of healthy sweetness for good measure. If you're looking for a healthy single-serving dessert, this is it. Or if you're looking for a quick snack, this is it. The nice thing about these is that they're gluten-free with a vegan option. 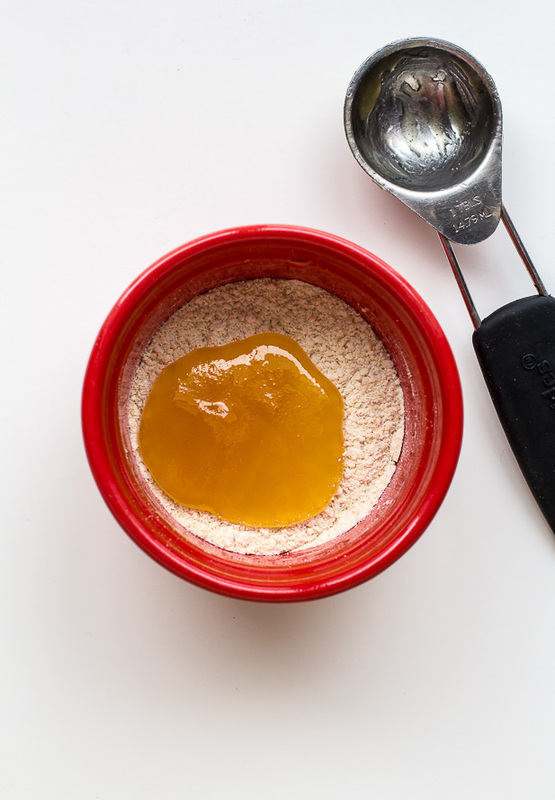 In a small bowl, mix together the dry ingredients; oat flour through baking soda. Mix the wet ingredients into the dry, and stir to combine. Pour the batter into a lightly greased muf or ramekin. Microwave for 45 seconds to 1 minute on high. Microwave times will vary depending on the wattage power of your microwave.